Many of the families supported by CMF are headed by women - mothers, grandmothers, aunts, older sisters, guardians. 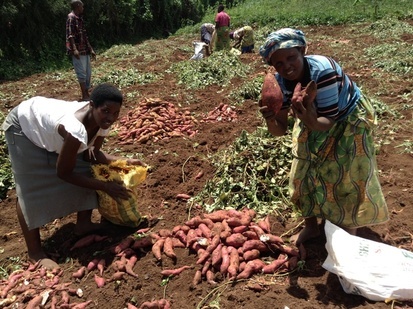 The women's farming co-operative, 'Abagore Farming' ('Abagore' means 'women'), has been set up to give these women the opportunity to earn money to look after their families. 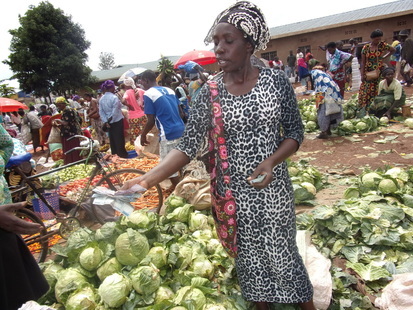 CMF provides land, tools and seeds and the women grow crops to sell in the market, enabling them to earn an income. The women sell the maize and vegetables in the markets and to restaurants. CMF has also helped to build a storage house to keep the crops and with room to hold meetings and training workshops for the women.